A day after the official Pilchuck announcement that Ben Wright would succeed Tina Aufiero as artistic director, the outgoing UrbanGlass education director sat down with the Glass Quarterly Hot Sheet (which is published by UrbanGlass) to share his thoughts on taking on the new post, which he plans to do sometime in May. 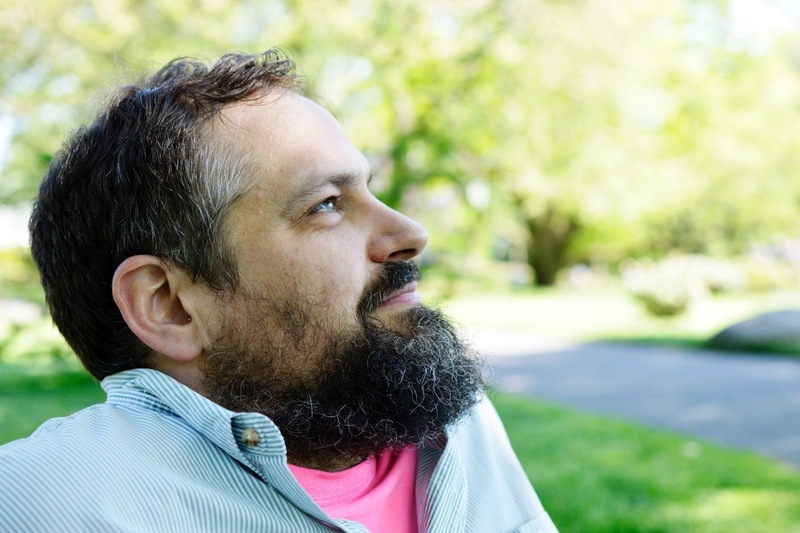 Ben has presided over the steady growth and expansion of the educational offerings of UrbanGlass since he took the position in January 2014, shortly after the Brooklyn non-profit reopened after an extensive renovation. Among his most proud accomplishments have been his institution of a scholarship program that allowed 300 people to take workshops in the past year, his work as a professional mentor with the students of the UrbanGlass Bead Project, the expansion of outreach programs to youth and seniors in the community, and expanding the education program to become "a significant source of support for working glass artists here in New York." We asked him about his relationship with Pilchuck, and his vision for what he hopes to accomplish in this new high-profile role at the leading residential glass-education program. Glass Quarterly Hot Sheet: What attracted you to the Pilchuck position? Ben Wright: Pilchuck has played a really important role in my artistic development and supported me at crucial points in my career. I've always had a personal connection to the place. But the suite of responsibilities in the artistic director position was interesting to me, as well. By that I mean the combination of exhibitions and educational programming as well as the residencies. It's exciting to have the chance to be more immersed in the programs that I develop. The idea of an immersive program is one that involves life and making all mixed up together. Glass: Does this move feel like more of a return to a place you've been, or something totally new? Ben: It feels like returning to a place I’ve been but with the full acknowledgment that that place is always changing, and it has to change. I bring a deep respect for the tradition and even the mythology of the place, but also the recognition that the world around it is always changing and Pilchuck always has to adapt. At the same time, Pilchuck can serve as an oasis from the world in various ways, so I see that aspect, too. Glass: What do you see as the key differences between the new position and what you've been doing here at UrbanGlass? Ben: I'd been getting more involved in the gallery space here at Urban, but I see the chance to guide the exhibition programming for Pilchuck's Seattle gallery space as very exciting. And there's also the pacing of everything. In Seattle, it will be more cyclical than in New York, where the educational programming is year-round. Perhaps there will be periods at Pilchuck where things are more intense at times, but this is one of the big differences. The other is that the two institutions are very different, the programming that fits here doesn't necessarily fit there in terms of format and content. It's just a different opportunity, and also there are a lot fewer workshops overall each year, fewer iterations to experiment with. But the longer and more immersive format allows individual students to progress further, and in some ways you get to see more of the results of what the teachers do with the students. I’ve always thought it’s so amazing what you can get done in 24 hours at Pilchuck, if you could extrapolate that to the wider world, you could do anything. Glass: Can you talk about some of the changes or adaptations you might be planning? Ben: I have a clear mandate to develop a more diverse community of teachers, students and artists, who are attending Pilchuck. I think we’ve been quite successful with that there at Urban, though what that means may be comparing apples and oranges. I think it’s up to the organization to clearly define what diversity means to them and what the priorities of the school are, from that will flow the targeted scholarships and programs and partnerships that have been so successful here. There will be different partnerships but these are a crucial way to pursue that goal. Glass: Do you see yourself jumping right in and making changes as soon as you come on in May? Ben: To some degree you have to get under the hood and see what’s working and not working. Though I know Pilchuck quite well, there’s a whole different vantage point when you’re engaged in the actual operations. I have to make the 2020 summer program almost as soon as I get there, but I'll likely be spending the summer of 2019 to learn and observe what is working, and where there may be unexploited resources, meaning either people or facilities on the campus. I guess some changes will happen quite quickly, a lot of others will be much more gradual. Glass: Did you know that in the 1970s, when Richard Yelle founded UrbanGlass, he did so in part because he didn't want to go blow glass in the woods. Are you in some ways doing the reverse? Ben: I wouldn’t put myself at the level of the UrbanGlass founder, but I’m quite comfortable in rural areas. I've moved back and forth between living in big cities to living near Penland or in Vermont. I also lived for two years in Bakersfield, North Carolina, about 40 minutes from Penland in the forest. The Appalachian Center for Craft, where I studied, has its own rural qualities. Like Pilchuck, these are all unique rural locations that have amazing communities of makers. These schools act as magnets in some ways. Just look at Billy [Morris]’s team at Pilchuck, and the community that sprung up off of that. Glass: What are some of the most potent Pilchuck experiences you've had, and that you hope to foster? Ben: That's pretty hard to define, but I would say it's about allowing people the freedom to have lots of different Pilchuck experiences. To do that, you need to provide diverse enough programming, which is attractive to a wide range of thinkers and makers. In terms of amazing things that happened to me, I had a Hauberg fellowship when quite young and was able to be at Pilchuck with artists such as James Butler, Rebeca Caldwell, Mark Zirpel, Brian Bolden, and Robert Campbell. It was just the perfect learning experience as they were all quite mature artists, much further along in their careers, and it was an amazing opportunity to see how professionals -- or people who had figured out their practice -- were going about this opportunity and modeling behavior in that way. I want to make sure Pilchuck remains accessible to young artists. The Hauberg fellowship was a free experience for me. I am very interested in the economics of the situation at Pilchuck, and look forward to working with Chris [Taylor, executive director], to see if we can’t relieve some of the tuition pressure from students and residents. Thought I’ve never done Pilchuck's Emerging Artist in Residency, I've seen how that experience can really shift in how people make, just to have that time and studio space, and to be surrounded by such strong people. I think that’s a really rich combination when you can come to an environment where basic needs are taken care of, you can develop a much more fertile environment for making. Glass: Can you talk a bit about what you see as the potential for the Pioneer Square gallery space Pilchuck has in Seattle? Ben: I've seen it broadening in scope, though it is largely focused on local artists. I was impressed with some of the things that Cybele [Maylone, former executive director of UrbanGlass] did here by bringing in outside voices to look at glass artists. 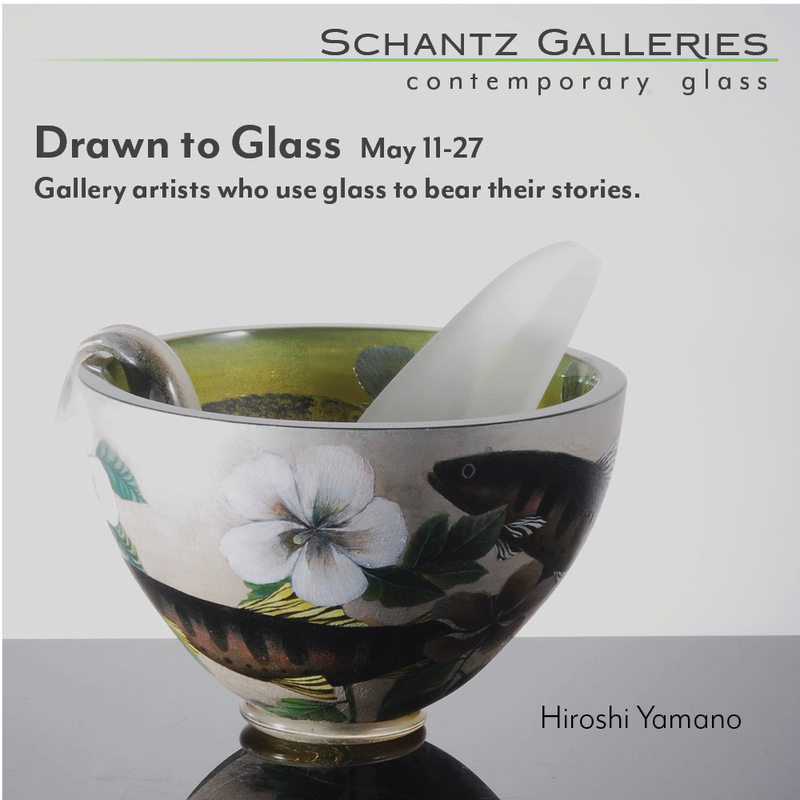 She did that as well with outside curators, bringing another voice to our gallery shows in addition to the artists own voice, which I feel really enriches the program and expands the bench of people writing and thinking about glass. I also like the idea of pairing up with other institutions, generating contacts that can give some of the artists a broader footprint. Bringing people in to look at local artists, and also pairing with other institutions to get those artists out in to the world. I see a lot of potential for partnerships. Also the gallery is in an amazing location in terms of activating Seattle to be aware of what’s gong on at Pilchuck and strengthening that connection, which can help with finding students, donors, and various stakeholders form the school. 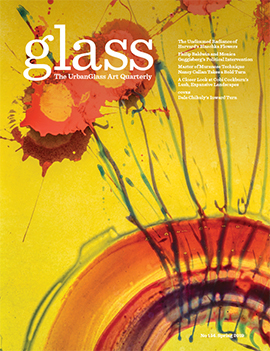 Glass: Do you see potential for partnerships between Pilchuck and UrbanGlass? Ben: I see a lot of potential for partnership, and even before I was hired by Pilchuck, we'd explored exhibition possibilities between the two of us. There are all kind of ways we could interact, as we see Pilchuck already interacting with other programs around the world, such as with S12 in Norway, for example. But I’m also really excited to see what happens at UrbanGlass with whoever my successor turns out to be. I think we’ve built a really nice platform for someone to be really creative with and bring his or her vision of what this program could be. As someone who has been highly invested in UrbanGlass for the past 5 years, I think there is tons of potential for someone else to expand and develop what we've been doing in New York.